petaling jaya ss14 | eat. drink. cook. travel. I don’t know how Noid searches out these places, but she manages to find new ones every time we visit. Tucked away in a nondescript coffee shop called Hai Keng Restaurant is a humble hawker stall that serves up a mean bowl of curry mee. 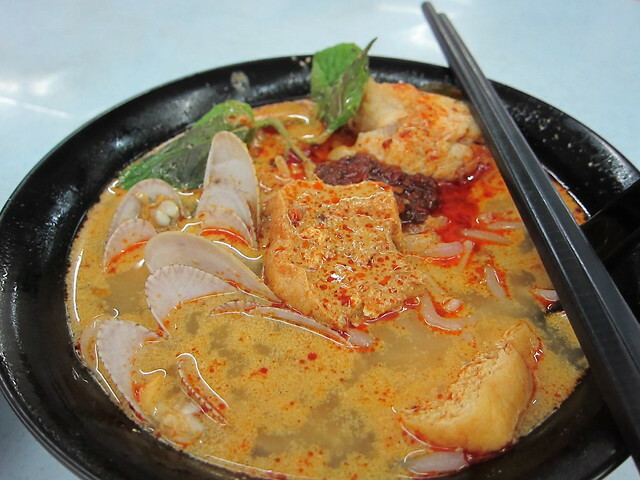 Singaporeans will more likely call it laksa, but it’s slightly different from the usual laksa lemak made famous by 328 Katong Laksa. The gravy is a thin curry that isn’t too lemak, i.e. with only a smidge of coconut milk for richness. It’s a bit of a hybrid as they add lime juice just before serving, so this is sour, spicy and slightly rich all at once. 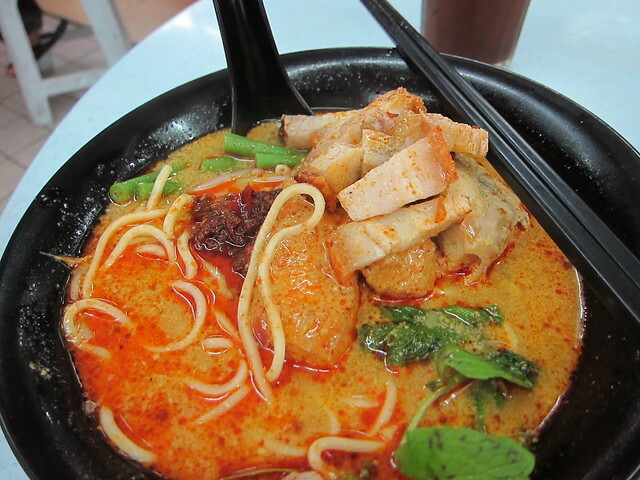 You can choose from laifun, which is thick rice noodles typically used in assam laksa, or yellow wheat noodles normally used in traditional KL curry mee. I liked how schizophrenic it tasted to me, as the mint leaves, lime juice and laifun lulled my mind into thinking that it’s more like assam laksa. Then the hint of coconut milk and squishy taupok (tofu puffs) reminded me that it’s quite like Singaporean laksa too. But what set it aside was the stingray accompaniment. It came as a thick, succulent slab that added juicy seafood flavour to the whole concoction. The clams were decent too, but just couldn’t compete with the stingray. DC had yellow noodles with roast pork topping in addition to the stingray. Even though the roast pork skin was a bit soft, the flavour of the pork was very decent and goes much better with the curry mee and stingray. Order this combination if you’re in doubt. My one criticism of this place is that while they’d arranged my clams artfully in the bowl, they forgot to add long beans to mine. I only realised belatedly that I had been somewhat shortchanged. No matter, the beansprouts in mine were fresh and crunchy. 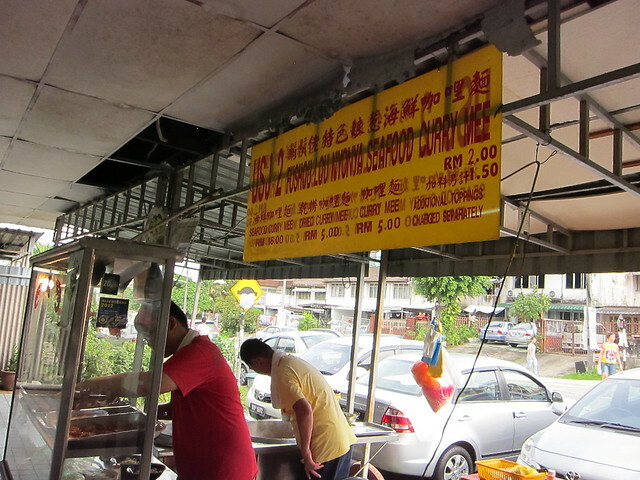 While you’re at Hai Keng Restaurant, be sure to order the kopi. The strong local brew is thick and heady with a rich aroma, probably because the coffee beans are roasted with butter. Either that or they add a dab of butter with the condensed milk. The standard hot version and the iced versions are equally good.